At Life Mission Church, we baptize people who have made a conscious decision to believe in Christ and trust Him alone for their salvation. Baptism is a demonstration of someone’s union with Christ symbolizing His death and resurrection. It signifies that your former way of life has been put to death and depicts a freedom from slavery to sin (Romans 6:1-6). We have baptism celebrations three to four times a year, as it is one of two things (along with communion), that Christ gave to the church for us to regularly practice. 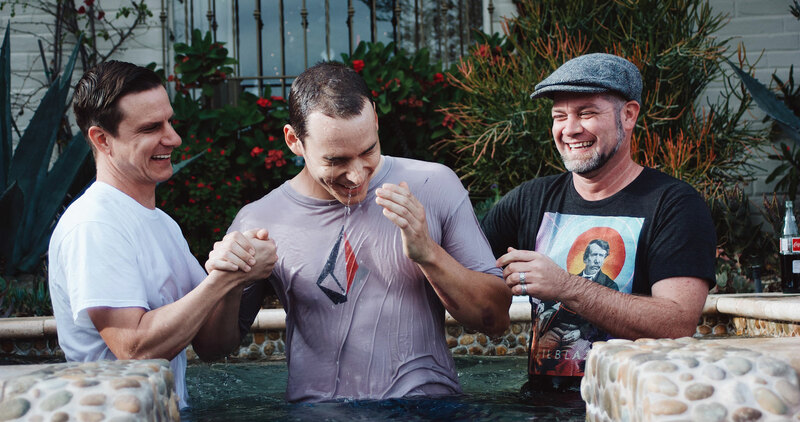 We get the honor of celebrating lives that have been changed by Jesus with Baptism! If you’re a follower of Jesus Christ and haven’t been baptized or would like more information on what it is or why you should do it, you can email Pastor Jobey at . Baptism is an important part of our Christian faith, and something that your children will be curious about as they understand Jesus more and more. We want to help you, the parent, be able to discern when is the right time for your child to be baptized. Baptizing a child (or adult for that matter) who is not truly saved can give them a false security later in life. Countless people will point back to the past (rather than their present lifestyle) as evidence that they are believers. Though we’ll never be perfect in our discernment, we certainly want to be wise in how we shepherd our children. There is no specific age, but here are some things you can look for to help figure out where your child is spiritually. Can your child explain in their own words the basics of what it means to become a Christian. Not simply what a Christian looks like (reads the bible, obeys Jesus, goes to church, etc. ), but why they need Jesus and how they are saved? Does your child have a love for Jesus and desire to be close with Him, not just obey Him or know facts about Him? Does your child have a desire to repent of sin and have a godly sorrow when they sin? Loving Jesus is one thing, but understanding and having the desire for repentance is a healthy showing of the fruit of the Holy Spirit. Does your child show evidence of the Holy Spirit in their heart, not just recitation of what mom or dad or Sunday School has taught them? Don’t be overly anxious over it. We’ll make mistakes. We just don’t want to be careless, and we want to guide our children by the best of our ability according to God’s Word. At the end of the day, it can be difficult to know for sure, especially at a young age, if the Holy Spirit has indeed brought your child to saving faith, so we simply do our best to “judge a tree by its fruit.” If your child has expressed an interest in baptism, contact Pastor Jobey at . We’ll do our best to help you discern if now is the right time. By God’s grace, we hope that it is! We also have an opportunity for parents to make a public declaration to their church family that they are committed to raising their child in a godly home by teaching, loving, and guiding them toward the Gospel every day. We call this a “Parent Dedication.” Baptisms are reserved for those that are able to make their own conscious decision of faith, and we do Parent Dedications the same day we do our baptisms as a way for parents to stand before the church to let them know their hope and commitment in raising their family in the Gospel. It's really something for parents to ask the church to hold them accountable to. 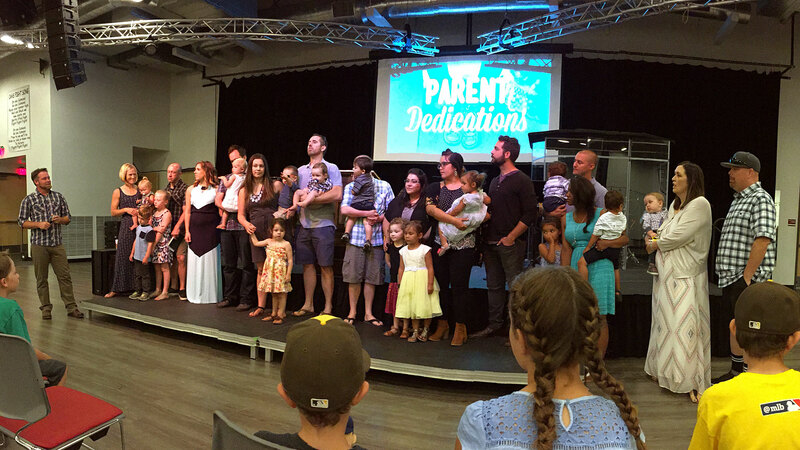 We purposefully call these “Parent Dedications" rather than "Baby Dedications” because we want it to be known that, in reality, we're not dedicating our kids to the Lord as if something supernatural happens, that could give us a false sense of spiritual assurance for our kids later in life. Home | Connect | What is Baptism?